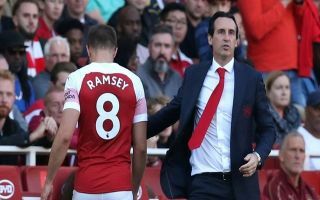 Arsenal may have found their ideal replacement for midfielder Aaron Ramsey, whose contract expires in the summer, the Gunners will have to lure the midfielder away from these Champions League giants. According to Spanish outlet Don Balon, the Gunners amongst a host of other clubs across Europe – have contacted Real Madrid over the possibility of signing midfielder Dani Ceballos. Ceballos has found a new lease of life under new Madrid boss Santiago Solari, the youngster had found first-team opportunities hard to come by under Solari’s predecessors; Julen Lopetegui and Zinedine Zidane. Solari has experimented with Ceballos since taking over, bringing in the Spaniard to cover Casemiro – who is currently sidelined with an injury. Ceballos has looked impressive when used by Solari in a deeper midfield role. The youngster will have the chance to continue to impress Madrid fans, with Casemiro still sidelined. Given Ceballos’ versatility in central-midfield there’s no doubt that the Spaniard could be the perfect replacement for Aaron Ramsey. Madrid signed Ceballos from Real Betis in the summer of 2017 for a fee reported to be £14.5m according to the MailOnline, with the midfielder becoming an overnight sensation, Los Blancos could command a significant fee from Arsenal for his signature. Ceballos has also looked very impressive for Spain in the inaugral UEFA Nations League campaign, the 22-year-old has such a high ceiling and the Emirates could be the perfect place for the midfielder to fulfil his potential.